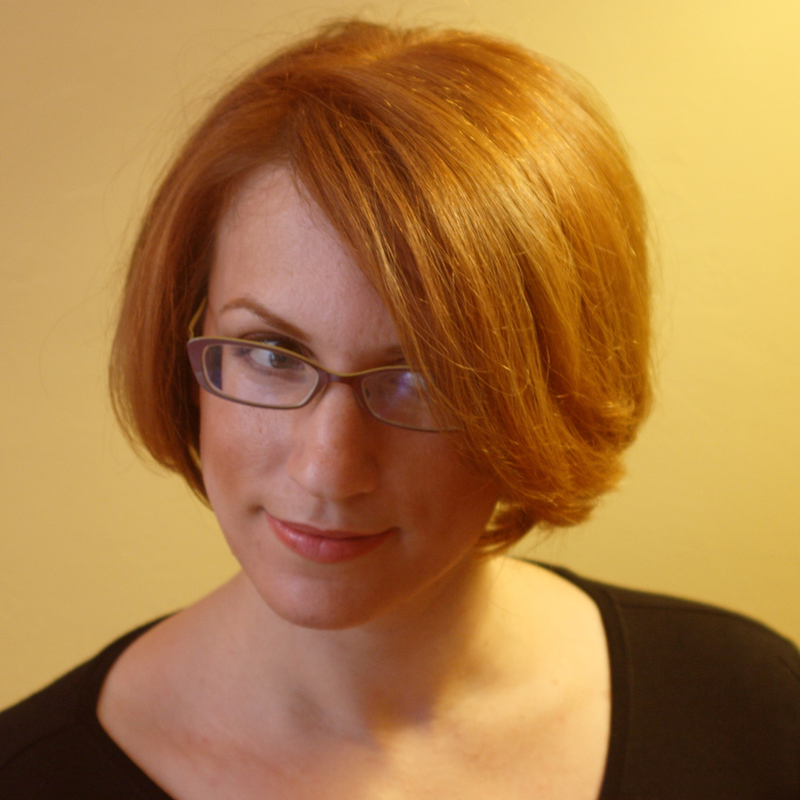 Janine A. Southard is the author of the Hive Queen Saga, a sci-fi (space opera, to be exact) trilogy about a group of teenagers who steal (kinda) a spaceship and take off on the adventure of their lives. If you haven’t read the first book, you can find out how to get a free copy of Queen & Commander at the end of the interview. BELINDA: I love space opera, but as a genre it can be hard to define and often means different things to different people. Personally, I like to think of it as underdogs in space, sticking it to the universe. How do you like to think of space opera? JANINE: I love space opera too! I think of it as fiction which is both set far enough in the future that the technology involved isn’t currently possible and also where the plot is more focused on the non-technological aspects. Even though the tech is an important backdrop piece, it isn’t what a space opera story is about. For instance, a space opera mystery is about the whodunit, not figuring out how the robot serial killer gained its sentience. Additionally, I think of space opera as an innately hopeful form. It presupposes that our current society has continued to improve technologically while also not imploding. BELINDA: That’s a great way to think of it, and a nice break from the trend towards the dystopian, particularly in young adult (YA) fiction. 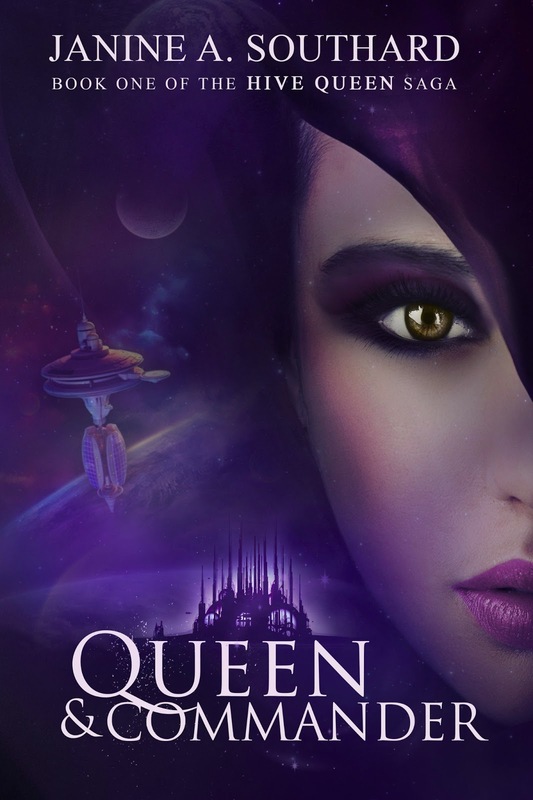 Speaking of YA, your Hive Queen Saga is among the first in a new wave of YA space opera. Apart from those genres being awesome, what drew you to mashing them up? BELINDA: What do you think about the YA space opera you see today, is it the kind of thing you expect when you think ‘space opera’ or do you think YA is putting a unique spin on it? JANINE: I haven’t actually seen a lot of new YA space opera yet. I mean, I love Beth Revis’ Across the Universe… and I just finished reading Mars Evacuees by Sophia McDougall, though the latter is more middle grade than young adult. Give me your recommendations? BELINDA: I sure can! Earth Girl, Avalon and These Broken Stars are some of my faves, but you can find a whole host of others here. In the Hive Queen Saga, there’s a heavy emphasis on Welsh mythology. What inspired you to create an entire society based around it? JANINE: Thank you! I’ve got a bunch of these in my reading queue now. Plus, hey, I’d already read about half of the first page. Oh my gosh, the Welsh mythology. It was kind of an accident. See, before I started writing, I knew I wanted to name a ship Ceridwen’s Cauldron for all its symbolism regarding inspiration (great for YA characters discovering themselves) and, y’know, being a bucket people could live in. I also knew that I wanted to rename said ship as Manawyddan’s Mousetrap for how the characters grow in the face of adversity. That was too much coincidence for me. So I went for it. I had a small medievalist background in Welsh otherworld literature already, which helped in making things up. Then I dove into the language, the current political climate, and (of course) druidry. Using all of this, I tried to picture what a future would be like where a Welsh colony was settled by the people who want a return to the old ways as they rebuild their national heritage. It pretty much has nothing to do with modern politics or druidry at this point, but my Cymraeg language skills got better. Aside: for book 3 (which comes out in a few months), I got to learn about all the different kinds of Welsh and Anglo-Welsh poetry. My new favorite poet may just be Gillian Clarke, who is the current National Poet of Wales. BELINDA: Wow, I love that you chose the FTL you used based upon the mathematics, almost as much as the matriarchal/hive-based society that’s a feature of the series. What inspired you to create such a different society? As for the Queen-centric Hives, they’re a case of art imitating life through a cracked lens. I think everyone has noticed that large groups of friends tend to have a leader, right? That’s just the way things are. So I wanted to combine these things: an informal group leader with a lady people followed out of love as well as admiration. Thus, the basics of the Hive system were born. After creating that base plan, I worked in some more sensible structures, read up on the court of Elizabeth Regina I, and added the standardized testing angle (which I’d previously made the focus of another book that hadn’t worked out). With each book in the series, I send my characters off to another society, which is also fun for me. Yes, Book 1 was all Hives of future Wales, but Book 2 did an American Frontier space station, and Book 3 is set largely on a Chinese (mainland-descended) research lab. I had a blast deciding the right things to futurize. Do you have a particular method you use when building your worlds? Actually, I recommend this book to any writer who doesn’t yet have an outlining method. The exercises are great! BELINDA: When does the research come into it, and how do you keep track of all the data you collect? JANINE: Research is a strange beast. For a novel that’s been percolating for a while before I even start outlining it, I’ll have done a bunch of “unofficial” research until I have a strong sense of something that’ll go into a story. During my outlining phase (3-6 weeks usually), I’ll go deeper. Often my research will inform my final outline by integrating with the plot. What does the tech have to do? How does society work? The novel has to make sense in a larger context. Anything relevant goes into the outline. (I’m a die-hard outliner. My latest novel has 35k words of outline.) For instance, I can copy a quote from a neuroscience article into my worldbuilding section, or include a photo with a link under it. Some stuff, though, is less easy to describe. For instance, we talked about Welsh mythology earlier. Yes, I let modern druidry inform my version of future druidry, but they are emphatically not the same. So I’ll listen to the DruidCast podcast while I walk, and that will end up flavoring my stories but isn’t directly documented. Alternatively, I have a character who translates idioms from his own language, and I don’t document those at all other than the fact that he does it (so I can look up an appropriate saying from a “learn to speak” book or website as needed). After a draft is complete, I’ll do a bunch of passive research while it’s out with beta readers and my editor. That way when someone says “I want more about X,” I’ve got a stronger foundation. I’m really horrible about documenting stuff that comes in during the editing phase though. BELINDA: You’re releasing the third book in the Hive Queen Saga this year, do you plan to write any more stories in the series or will you be starting on a new project? A 7-part novelette series about Victorian Vampire Vice Cops. Episode one is already written (though not available yet) and entitled “The Death of Sloth.” I see it as sort of a Sherlock Holmes and Matt Helm pastiche starring Ada Lovelace and her vampire great-great-great-grandfather. A medieval quest fantasy “done backwards” that I’ve been working on for, oh, a decade, which is almost ready to see the light of day. It takes every point of order that belongs in a book of this type and twists it. The blond farm boy? Actually a manipulative villain. The mercenary with a heart of gold? Actually a sadist. The dragon the villagers defeat? Just grandstanding. 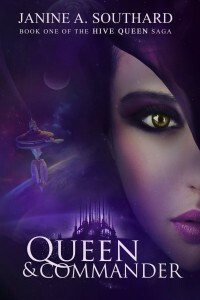 Right now, get Queen & Commander as a free ebook when you sign up for Janine A. Southard’s newsletter. 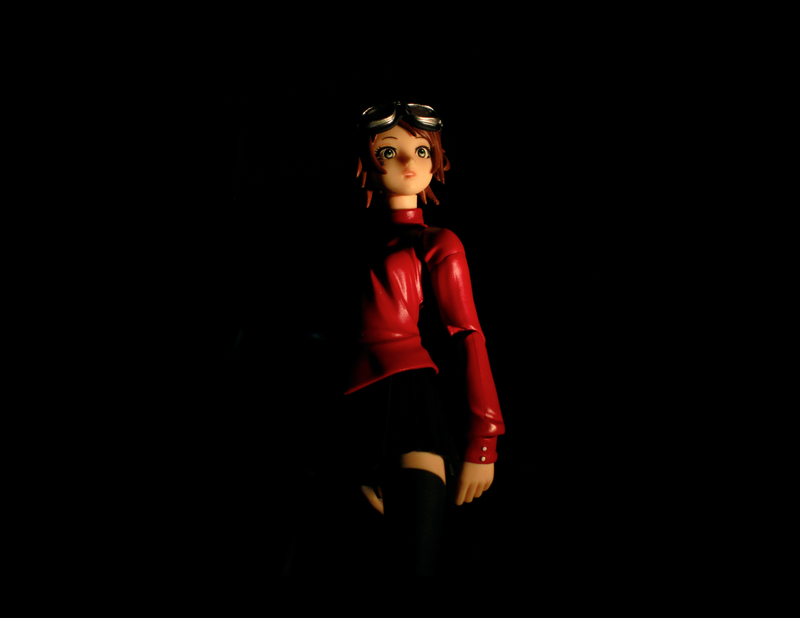 The newsletter will keep you current on things like her latest release dates (and fun news like when her next Kickstarter project is coming). Usually, this is once a month or so, but sometimes goes longer or shorter. Your address will never be shared, and you can unsubscribe at any time. Plus: free ebook! Featured image courtesy of davidd. Used with a Creative Commons license.